The first new release from M.I.S. 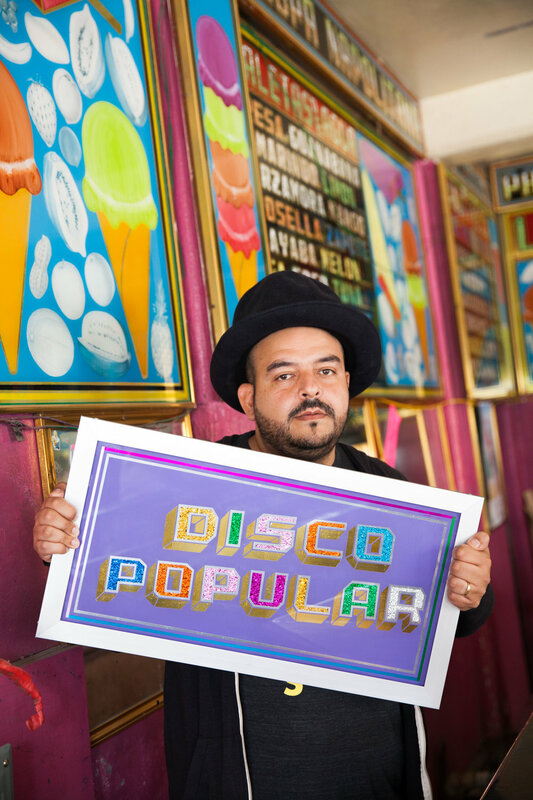 in four years, Disco Popular will add to an ever growing portfolio of musical exploits for Lara, who was named by Spain’s El Pais newspaper as one of the “15 Most Influential People in Latin America.” Through M.I.S., Lara has toured around the globe, including performances at major music festivals like Coachella and Lollapalooza, and seen his recordings featured in TV and film productions such as Eastbound and Down, Big Love, Ugly Betty, Californication, and many more. The Mexico City based DJ and producer is known as well for his music supervision work on Grand Theft Auto V’s “East Los FM” radio station, and films like “Y Tu Mama Tambien” and the upcoming Disney/Pixar animated movie “Coco." Not to mention his multiple production credits including albums for Los Angeles Azules, and their hit single “Como Te Voy a Olvidar” which spent an unprecedented 79 weeks at #1 in Mexico. As if that were not enough to satiate his creative energy, Lara is the force behind Mexrrissey, a project that re-imagines some of Morrissey and the Smiths’ most iconic tunes and translates their lyrics into Spanish. Their album No Manchester charted top 15 in the US and the UK and the Mexrrissey touring group featuring an all-star lineup of Mexican artists has since sold out 4 tours in the UK alone. All that is to say, is that whether or not many are aware of it, they have likely been touched by Lara’s creative influence at one point or another. His unmitigated drive to innovate and collaborate through sound and art is on full display with Disco Popular, and sure to please the senses of all those who come into contact with it, no matter how it ultimately reaches them.